(Trent Nelson | The Salt Lake Tribune) Jenny Wilson speaks as members of the Salt Lake County Democratic Party's central committee gather to choose a new county mayor from a field of four candidates at Corner Canyon High School in Draper on Saturday Jan. 26, 2019. (Trent Nelson | The Salt Lake Tribune) Arlyn Bradshaw speaks as members of the Salt Lake County Democratic Party's central committee gather to choose a new county mayor from a field of four candidates at Corner Canyon High School in Draper on Saturday Jan. 26, 2019. (Trent Nelson | The Salt Lake Tribune) Jenny Wilson speaks as members of the Salt Lake County Democratic Party's central committee gather to choose a new county mayor from a field of four candidates at Corner Canyon High School in Draper on Saturday Jan. 26, 2019. (Trent Nelson | The Salt Lake Tribune) Shireen Ghorbani speaks as members of the Salt Lake County Democratic Party's central committee gather to choose a new county mayor from a field of four candidates at Corner Canyon High School in Draper on Saturday Jan. 26, 2019. (Trent Nelson | The Salt Lake Tribune) Stone Fonua speaks as members of the Salt Lake County Democratic Party's central committee gather to choose a new county mayor from a field of four candidates at Corner Canyon High School in Draper on Saturday Jan. 26, 2019. (Trent Nelson | The Salt Lake Tribune) Votes are cast as members of the Salt Lake County Democratic Party's central committee gather to choose a new county mayor from a field of four candidates at Corner Canyon High School in Draper on Saturday Jan. 26, 2019. (Trent Nelson | The Salt Lake Tribune) Jenny Wilson celebrates her win over Shireen Ghorbani to become the next Salt Lake County mayor, at Corner Canyon High School in Draper on Saturday Jan. 26, 2019. 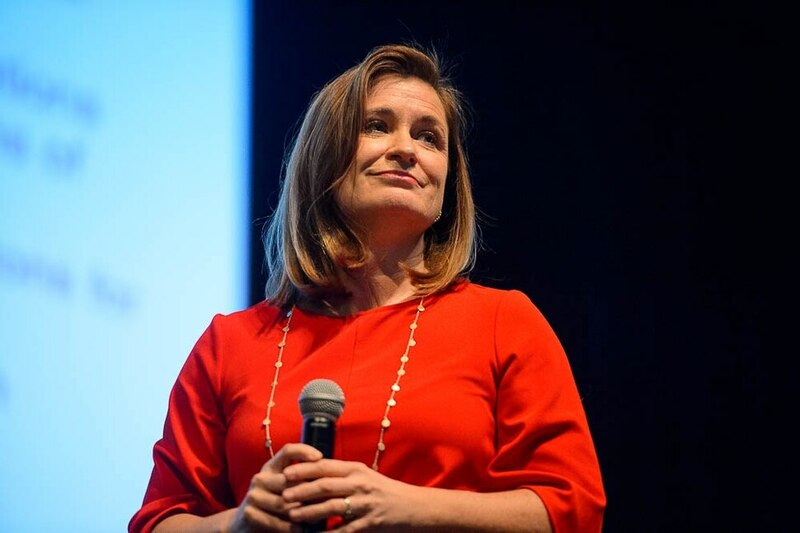 Draper • The Salt Lake County Democratic Party’s central committee members chose Salt Lake County Councilwoman Jenny Wilson to serve as county mayor at a special election Saturday at Corner Canyon High School. She will take the oath of office Tuesday — becoming the county’s first female Democratic mayor — and will serve in the seat through the end of the term, which is up for election in 2020. Wilson ran for U.S. Senate last year, but lost the bid to Mitt Romney. In 2004, she became the first woman elected to the County Council and served for six years before successfully running again as an at-large member in 2014 — experience she emphasized during her comments to the central committee on Saturday. Wilson faced County Councilman Arlyn Bradshaw; Shireen Ghorbani, a former congressional candidate and a communication professional at the University of Utah; and Stone Fonua, a former police officer and business owner who has run unsuccessfully for multiple public offices under different party affiliations. She won the first round of balloting and squared off against Ghorbani in the second, where she continued to hold strong with 398 of 719 votes. In a speech to central committee members after the vote, Wilson praised Ghorbani and Bradshaw for their visions for the county and urged them to join her in moving forward policy. Rep. Ben McAdams, D-Utah, vacated the county mayor seat on Jan. 2 to serve in Congress, prompting a series of moves under state law that triggered a 30-day timeline for the county party to choose a replacement. Now, the central committee will have to go through that same process to replace Wilson as an at-large county councilmember. 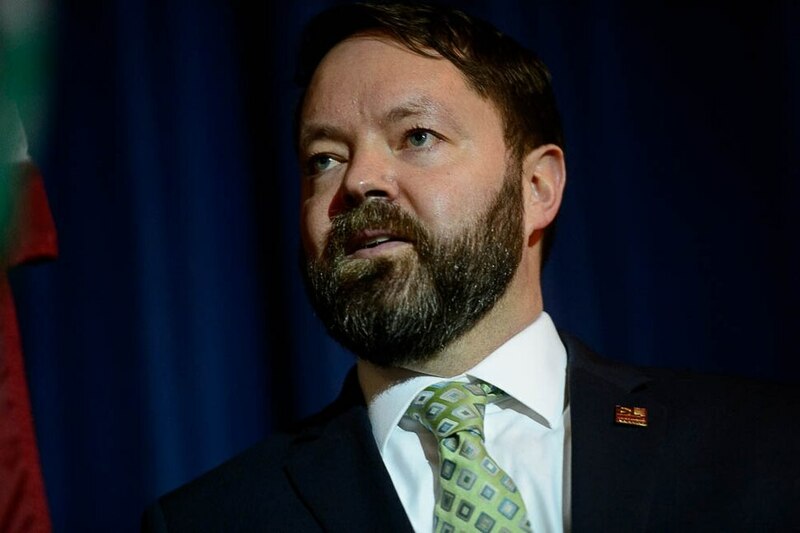 McAdams, who attended the special election on Saturday, did not endorse anyone during the short campaign but instead praised the direction the county had taken under his leadership and said whoever takes over will step into a well-managed government. But after that, she said she will be out on Capitol Hill soon after her inauguration lobbying for implementation of a full Medicaid expansion, which Utahns approved in November. She also plans to create an office of environmental action and prioritize clean air. 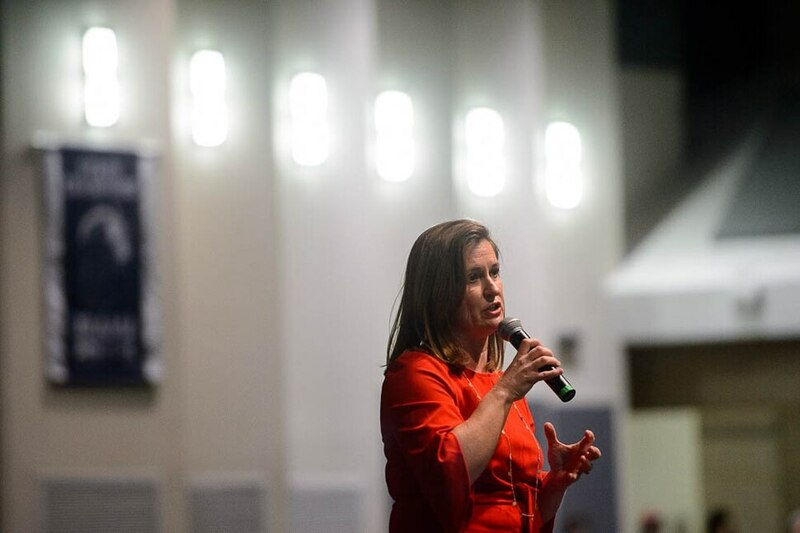 During a debate at Jordan High School Thursday, Wilson promised she would work across the aisle, but would also be firm in using the “political capital” Democrats gained in the 2018 election. “It’s important that the mayor knows how to use the bully pulpit, but also knows how to go in the room and negotiate,” she said. Wilson advocated for using tax increment policies to address Utah’s affordable housing crunch. High-density housing has to be part of the solution, she said, as does a cultural shift in the way communities view such development, with the county mayor leading out on the issue. She expressed support for a countywide anti-idling ordinance and said she would advocate for solutions to the state’s poor air quality at the federal level. During her campaign announcement at the Salt Lake County Government Center in November, Wilson presented a long list of other items she would work on, if elected. Those included addressing the opioid epidemic, preventing sexual and domestic violence and working with Salt Lake County Sheriff Rosie Rivera to implement criminal justice reform. Central committee member Charlie Gibbons, who campaigned for Wilson during her Senate run, said he chose to support the candidate again in her run for mayor because of her experience and knowledge of the county. Ted Wilson, a popular three-term mayor of Salt Lake City and longtime civic leader, said he’s “delighted” to see his daughter win her bid to serve as the next county mayor. Part of the calculation for central committee members in voting was on who would best hold the seat in 2020. Wilson received the backing of a number of county and state officials, including County Clerk Sherrie Swensen, Rivera and state Sen. Jani Iwamoto, who stressed that the former at-large councilwoman best has that ability. Correction: Jan. 26 at 5:30 p.m. >> A previous version of this article mischaracterized the Medicare ballot initiative passed by voters in November. It was a full expansion.